Did everyone stateside have a nice Labor Day weekend? I hope you had less work on your plate but more delicious food! I’d love to share some worthy eye candy for you from this holiday, but I’m afraid our original (and spectacular) plans fell through. I had to run darling bf to the Emergency Room on Friday evening and it turned out to be his appendix, so he was in the hospital for 2 nights. Life happens. I am happy to say the surgery went smoothly, he’s recovering extremely well thanks to modern medicine and some killer chicken noodle soup from WholeFoods…oh, plus a very patient and loving nurse. Heh. So now, you are going to see what I existed on over the weekend. But I’m not complaining because this is my favorite snack chip and I was planning on giving it some air time soon…so no time like the present! I’d like to think that I don’t have an obsessive nature, but I may be kidding myself when it comes to certain foods. Pasta, for example. And hot sauce. Ooooh, melty cheese! PIZZA!! I guess I am kidding myself. 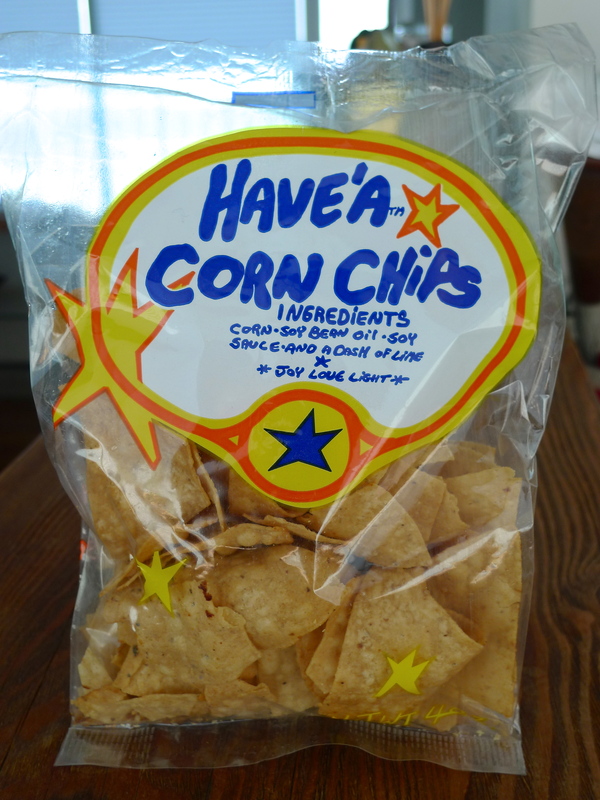 I discovered this gem of a chip while I was living in Huntington Beach in the mid 1990’s. 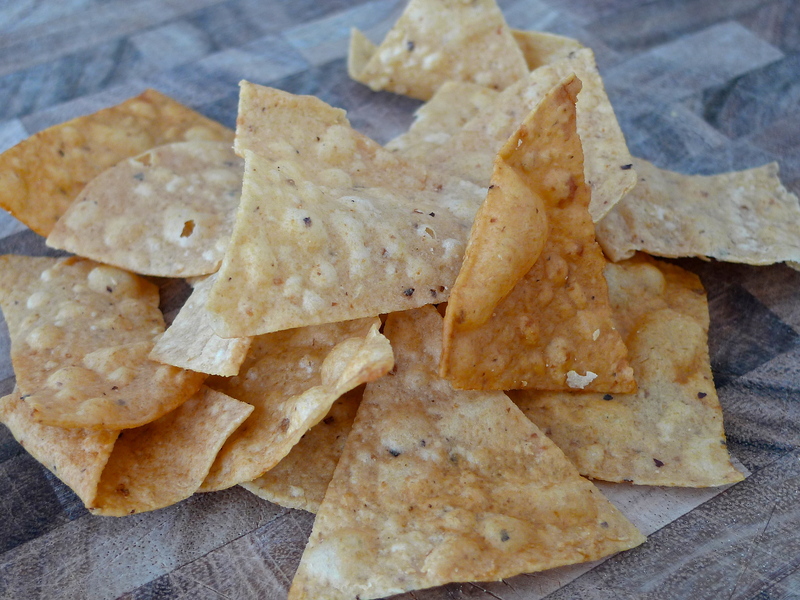 Have ‘A Corn Chips has four basic ingredients – Corn, Soy Bean Oil, Soy Sauce and Lime. I have a regular craving for these much like bf has for his Curly. Remember those? If not, please refer back to his crazy snack here. So, you see, bf indulges in Curly while we’re in Marbella, and I gorge feed my need of Have ‘A Corn Chips when we’re in San Francisco. I, personally, think that mine is the better snack…whereas, I still feel like I will start sprouting hair on my chest if I continue eating my “handful at a sitting” of the mystery ingredients in Curly. There seems to be an air of secrecy about my crunchy snack. For example, it does not have a web site or much of an “official” web presence at all. Huh? Also, the company who makes them refuses to give interviews as was attempted and written about here by the Orange County Weekly. All I know is that it originated in Laguna Beach in the 90’s and is a unique and favored chip on the west coast. I am enthralled by its faultless crunch, distinctive flavor and each delicious chip has a varied amount of seasoning as you can see in the photo above. As I said, there is such a mystery to this chip that I don’t know if they’re distributed all over the country. So, please let me know if you are lucky enough to have these in your neck-of-the-woods. If you have seen them and haven’t tried them, what are you waiting for? 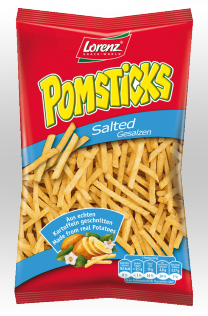 Caution, they are highly addictive, so save yourself time and energy and buy several bags at a time. You’ll thank me for it. Now excuse me while I go make heat up some soup for bf and work on the Have ‘A Corn Chips that I opened for this post…the sacrifices I make for this blog. Lorenz is a brand we do not carry stateside (to my knowledge). In my opinion, they produce yummy, quality snacks. 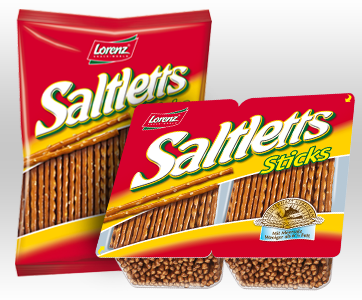 I love Saltletts (pretzel sticks) and Pomsticks (potato sticks)…but, in their line-up, they make something that is so strange that it defies explanation? Perhaps my palette wasn’t prepared for this innovation…in the beginning. 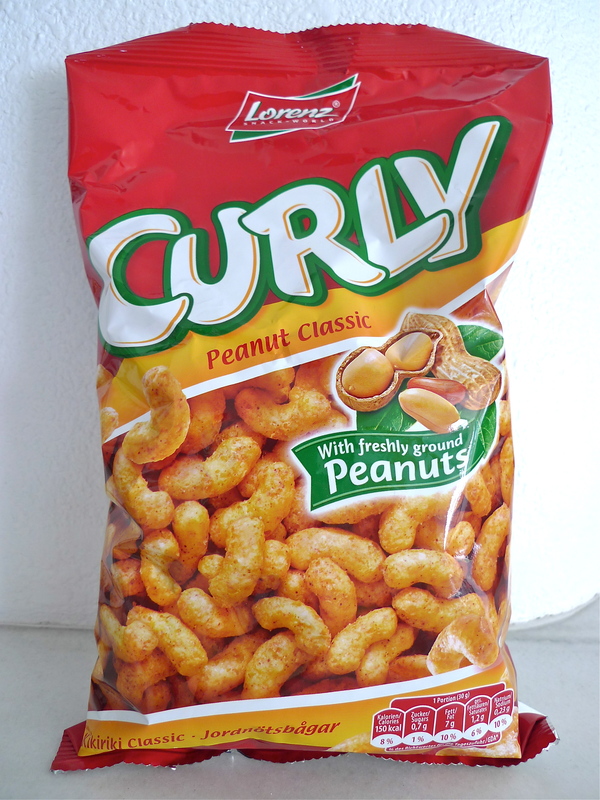 Darling bf introduced me to Lorenz snacks and the unique, Curly. He loves it. When we’re in Spain, there is without fail, a bag of Curly in the house. When I first bit into one, I thought “ugh, styrofoam??”. But, as I began to chew, it dissolved into this gritty yet creamy, peanut-ty sensation!? My head was telling me “no, NO, don’t eat this, you will grow hair on your chest, sprout a second thumb!”. I stopped at one, but apparently the seed was planted. 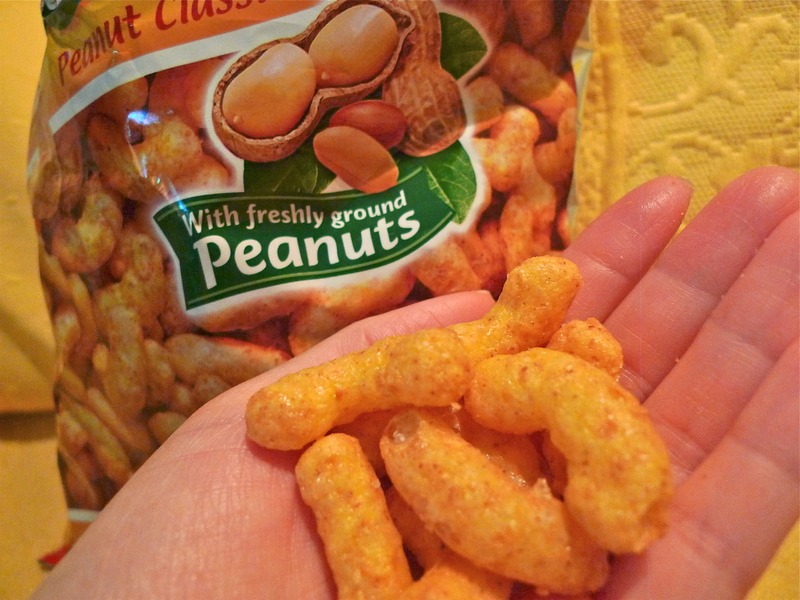 Fast forward to many Curly bags later…hearing bf happily munching away next to me, waving the peanut-ty morsels under my nose, it finally wore me down (I’m weak that way). So, I gave Curly a second chance. It started with one piece, then two, and a few more. I’m now up to a handful in one sitting. As I said, some things should remain unexplainable. Crunch.